Black Boulder Aluminum Differential Cover for Dana 30 Axles, Universal Fitment. 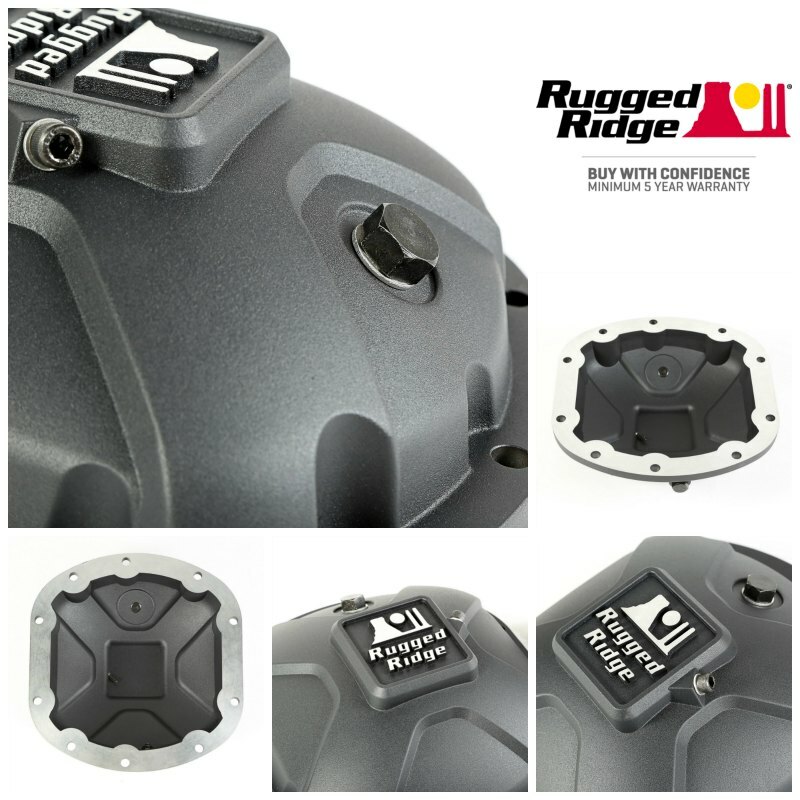 The new matte black Rugged Ridge Boulder Aluminum Differential Covers are constructed from A356-T6 cast aluminum for strong impact resistance and feature a precision machined sealing surface, allowing gaskets or RTV sealant to prevent leaks. Each cover is designed to help protect differential components from damage caused by contact with rocks and other terrain off-road. 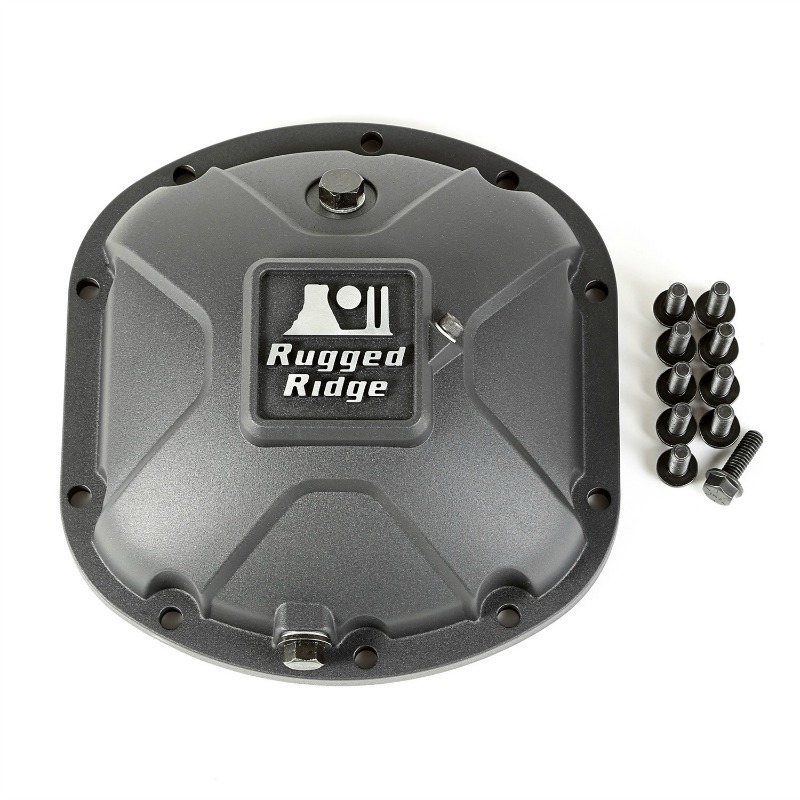 These covers also come complete with a magnetic drain plug for protection against costly damage from metal particles that can accumulate in gear oil and include a specially designed dipstick bolt to help avoid under or overfilling their differentials.